In March, 2011, the timeshare industry online publication, Perspective Magazine, posted an interview by Editor Matt McDaniel of one of the industry's A-List members - Franz S. Hanning, President and CEO, Wyndham Vacation Ownership. Wyndham Vacation Ownership markets and sells vacation ownership interests through its three primary consumer brands: Wyndham Vacation Resorts, WorldMark by Wyndham, and Wyndham Vacation Resorts Asia Pacific. Wyndham Vacation Ownership has developed or acquired more than 160 vacation ownership resorts throughout the United States, Canada, Mexico, the Caribbean and the South Pacific that represent approximately 20,000 individual vacation ownership units and more than 800,000 owners of vacation ownership interests. In 2007 Hanning marked his 25th anniversary with the company he originally joined as a sales professional. Today, he leads a worldwide staff of more than 12,500 employees. PM: You’ve certainly been in the time-share industry long enough to see a lot of change. At its core, has the timeshare product changed much since the industry began? From a physical-product, the sticks-and-bricks standpoint, yes. When I started at Marco Island there were a lot of motel conversions – timeshare was just a solution for people who had assets that they couldn’t monetize. But the basic concept of delivering a lifetime of memorable vacations for people, and a way for people to prepay those vacations, that hasn’t changed. Fundamentally, that’s what we do. The reason it’s been so successful for so long is that, for the most part, all of us have delivered on that promise. I see it every day - I get emails and letters from people because of the fact that the product that we sell changes people’s lives - and that’s a good thing. Everyone’s out there looking to a better timeshare experience and a better product, and that’s evident from the great resort locations that people in the industry build and create for people today. PM: What’s next for WVO? Where do you see the company in five or 10 years? We will continue to be the leader in the industry. From a technology standpoint, we’re focused on making it as easy as we can for people to go on vacation. Our future has never looked brighter. The demand for our product is going to continue to be very strong. For Americans - certainly Western Europeans have known this for a long time- vacations need to be a birthright. Spending quality time, whether it’s with your family or just enjoying life, that’s what it’s about, and that’s what we do. Anytime you have those two things match up you have a great future ahead of you. 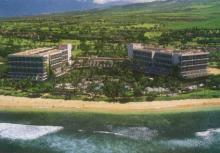 A hearing was held on April 13, 2011, in Lahaina, Hawaii, regarding a time share property tax proposed by Mayor Alan Arakawa. Over 200 were in attendance at the Maui County Council’s Budget and Finance Committee’s hearing, as reported by the online news source LahainaNews. Many, including representatives of time share resorts, were there to show support for those who opposed the Timeshare Property Tax increase of $14 to $19.60 per $1,000 in value. Daniel Dinnell spoke on behalf of ARDA-Hawaii, the local chapter of the American Resort Development Association, a national timeshare association comprised of 20 local members with 45 properties statewide and 22 in Maui. “As ARDA-Hawaii has previously testified, following a 69 percent increase to the real property tax in 2005, the timeshare industry is again being singled out with the largest single increase of $5.60," Dinnell said. Representing Marriott’s Maui Ocean Resort Club on Maui, Rob Welch said, “Our timeshare owners are already heavily burdened with the highest property tax rate at $14 per $1,000. An increase of 40 percent, to $19.60, will have an immediate negative impact to our owners and our associates." “Our resort employs a staff of 480 local residents - in 2010, the total payroll, including benefits and taxes, were over $30 million; money spent in our local economy,” Welch also pointed out. Michelle Rose Abad, a graduate of the School of Travel Industry Management at the University of Hawaii, spoke in support of those opposing the timeshare property tax proposal. “I feel that increasing the Timeshare Property Tax as part of the 2012 budget will hurt the growth of the positive benefits that ownership brings to all of us here on Maui," she said. "This battle will not be settled until the council adopts its final version of the budget, but the administration’s statement appears to signal that there may be room for compromise," concluded the LahainaNews report. Wyndham Vacation Ownership, the world’s largest vacation ownership company, was recognized by the American Resort Development Association with five prestigious ARDY Awards. ARDA is the Washington D.C.-based professional association representing the vacation ownership and resort development industries. This year, the ARDA Awards celebrated the best and brightest in the vacation ownership industry in more than 60 categories at its annual gala held in Orlando, Fla., on March 30, 2011. Winners this year came from across Wyndham Vacation Ownership. Named top Resort Department Manager, Bill Cahill, Maintenance Manager at Wyndham Nashville, was praised for determination and persistence in helping owners and fellow associates to safety during the May 2010 flood. Commitment to process improvement and efficiencies garnered Melissa Sowell, Director of Administration in San Antonio, Texas, an award for Marketing & Sales Administrative Support. For his hands-on approach to quality assurance, Dan Beckerman received an ARDY as Sales VLO/QAO/Contract Manager of the Year. The Resort Green Certification Program took home the gold for the best Green Sustainable Program within a Company, while the renovation at WorldMark Coral Baja proved impressive enough to earn accolades for Resort Design – Refurbishment. “This was a phenomenal year for Wyndham Vacation Ownership and without question that success is a result of the outstanding efforts of our associates. We know we have one of the best teams in the business and having ARDA recognize the accomplishments of our associates is simply the icing on the cake,” shared Franz Hanning, President and CEO. Wyndham Vacation Ownership is the world's largest vacation ownership business, as measured by the number of vacation ownership resorts, units and interests. Wyndham Vacation Ownership includes marketing and sales of vacation ownership interests, consumer financing in conjunction with the purchase of vacation ownership interests, property management services to property owners' associations, and development and acquisition of vacation ownership resorts. Leading French developer Group Cela has announced the affiliation of three new resort properties to RCI, the worldwide leader in vacation exchange. The three properties are Cela Alénya, located in the Languedoc Roussillon region, and Alpine mountain resorts Cela Chamrousse and Cela Orelle. Cela Alénya (see photo) is idyllically located in the centre of Alenya village in the southern part of the Languedoc Roussillon, five minutes from the beach and the 18-hole golf course of Saint Cyprien. The resort complex, which is set in a four-hectare landscaped site featuring a 100-year-old pine forest, contains a variety of sports and leisure facilities including whirlpool/hot tub, swimming pools and a spa offering a variety of beauty treatments. Cela Chamrousse, located at an altitude of almost 5,000 ft, offers amazing views and direct access to 50 miles of ski slopes. On site amenities include a spa with heated swimming pool, hammam, sauna, beauty treatments and massages. There is also a restaurant, bar and a warm lobby with a fireplace. Cela Orelle is located in the traditional village of Orelle in the La Maurienne valley, near the national park of La Vanoise. The village offers access to the world-renowned ski resorts of Val Thorens and the 3 Valleys. Nearer to home, the resort’s on-site facilities include a restaurant, bar and a spa with heated swimming pool, sauna, jacuzzi, massages and beauty treatments. Additional on-site amenities include a snack bar and conference facilities. “We are very excited to bring our owners the opportunities that RCI offers,” said Jean Garsau’, Président Directeur Général of Group Cela. “RCI offers our owners access to 4,000 terrific vacation resorts around the world. In addition to the new affiliations, Group Cela has also renewed the affiliation agreement for its two existing RCI resorts, Cela Canet Malibu Village and Cela Canet Malibu Premier, both located in the Languedoc Roussillon region of France, for an additional 10 years. Travel Leaders' latest survey reveals that over 57% of those polled who are receiving a tax refund will use at least part of that money for leisure travel this year. The survey also indicated that 83% of individuals polled will spend the same, or more, on leisure trips in 2011 as compared to last year. Travel Leaders is part of Travel Leaders Group, a North American travel company that generates gross travel sales in excess of $14 billion. Travel Leaders Group is a leader in both the retail travel agency space and corporate travel. This year's survey was conducted March 10 – April 10, 2011, and includes responses from 953 consumers throughout the U.S.
"It is clear that when Americans dream about travel, they dream big. Australia continues to be the 'ultimate dream' international destination. Perhaps the majority who indicated they will use tax refund money for travel could make that dream a reality this year," stated Roger E. Block, CTC, president of Travel Leaders Franchise Group. "What is most encouraging from our latest survey is that an overwhelming majority (89%) indicated that they have already traveled or will be traveling for leisure this year, and it seems they are prepared to open their wallets a little more, if they need to." Tax Refund - Money for Travel: A majority, 57.4%, of U.S. consumers responded "Yes" to the question "If you receive a tax refund this year, will you be using any part of that money for vacation travel?" 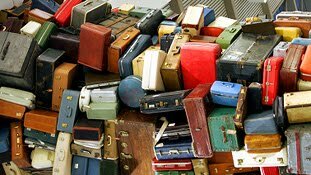 Leisure Travel Spending: 83% of those polled said they will spend the same or more on leisure travel in 2011 than they did last year. Only 17% indicated they would be spending less on leisure travel this year. Australia is the "Dream": When asked "What is your ultimate dream international destination?" the top destination selected was Australia – followed by Italy, Ireland, New Zealand and Mediterranean cruising, respectively. Top States Visited: When asked, "Which U.S. state(s) have you traveled to or will you travel to in 2011?" the top response was Florida followed by California and New York. Now that you have some extra money from your tax refund that you might be using for travel, stretch it further by renting a timeshare for your vacation. You'll be able to stay at luxury resorts for up to 50% less than the cost of many hotel rooms. RCI announced at the 2011 ARDA Convention in Florida the launch of an exciting and enhanced version of its Weeks membership program - Platinum. The RCI Weeks Platinum Membership is a premium tier of RCI membership, offering exclusive exchange privileges and lifestyle benefits. It is presently available to US members and will be rolled out across Europe in the summer. "Timeshare owners are always looking for more value from their exchange provider and RCI Weeks Platinum will provide just that - new opportunities for priority access and special member discounts," explained Geoff Ballotti, CEO of RCI. "After the successful debut of the RCI Points Platinum membership tier last year, we are excited to expand this terrific program to our RCI Weeks members as well. The RCI Weeks Platinum membership tier will offer tremendous lifestyle benefits that our RCI Weeks members can use and enjoy in so many different ways." This new tier of RCI Weeks membership will offer a large range of advantages to the RCI member including room upgrade opportunities, exclusive "first look" access to specially acquired holiday accommodation, and rebates for various RCI transactions. Members will also have access to preferred rates at the world's finest ski destinations and discounted green fees at many golf courses in the US. "As the inventor of vacation exchange, RCI is always looking to develop new products and ideas that will give our members the best experiences and exceed the expectations of our resort affiliates," said Ballotti. "The RCI Weeks Platinum membership tier brings terrific new benefits to our already popular RCI Weeks program. "We're excited to continue delivering what our members ask for with innovative enhancements and dozens of lifestyle benefits that we'll continue to build upon and expand going forward." RCI is part of Wyndham Exchange & Rentals, the worldwide leader in vacation exchange and the European leader in vacation rentals, with access to more than 80,000 vacation properties in approximately 100 countries. Wyndham Worldwide Corporation is one of the world’s largest hospitality companies with leading brands in lodging franchising, vacation ownership, vacation rentals and vacation exchange. Bluegreen Corporation has announced the expansion of its fee-based services business to The Manhattan Club, a premiere timeshare resort property located in midtown Manhattan. Bluegreen will be providing sales, marketing and title services to The Manhattan Club. 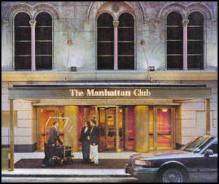 The Manhattan Club is centrally located between Broadway and Seventh Avenue in the heart of midtown Manhattan near some of New York City’s most significant attractions including Central Park, Carnegie Hall, Rockefeller Center, the Broadway Theater District, and world-famous shopping on Madison and Fifth Avenues. The property’s suites feature the space and amenities consistent with those of Bluegreen’s timeshare resorts including kitchenettes, marbled baths and other luxurious appointments. Each stylish suite gives its guests the privacy, comfort and convenience they’d find at home, but with a prime location that delivers access to the excitement and culture of New York City. Founded in 1966 and headquartered in Boca Raton, FL, Bluegreen Corporation is the leader in providing "Colorful Places to Live and Play" through its vacation ownership resort and residential real estate businesses. Since 1996, Bluegreen has managed, marketed and sold a flexible, real estate-based vacation ownership plan with more than 160,000 owners, over 56 owned or managed resorts, and access to more than 4,000 resorts worldwide. Bluegreen Corporation, "A leading provider of Colorful Places to Live and Play," has announced that it was awarded 3 Gold awards and 15 Silver awards during the 2011 American Resort Development Association (ARDA) Awards, in Orlando Florida. This annual competition honors organizations and businesses in the timeshare and resort industry that have achieved the highest level of excellence in a variety of different categories. The ARDA Awards Program recognizes nominees based on outstanding sales and staff accomplishments, product design and advertising. Bluegreen Corporation won Gold medals for its print edition of Colorful Places Magazine in the Magazine category, the Owner Upgrade Kit in the Brochure (More than Eight Pages category), and the interior design of Building 3000 at Bluegreen Wilderness Club at Big Cedar in the Resort Architecture category. Each category entered by Bluegreen included competition from other organizations and business in the timeshare and resort industry, including Marriott, Holiday Inn, Hilton, Disney, RCI and more. Since 1996, Bluegreen has managed, marketed and sold a flexible, real estate-based vacation ownership plan with more than 222,600 owners, over 54 owned or managed resorts, and access to more than 4,000 resorts worldwide. 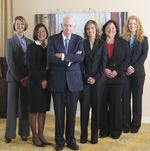 Marriott International, Inc., was recently recognized by the National Association for Female Executives (NAFE) as one of the Top 50 Companies For Women in 2011. Marriott was ranked in the top 10, and was selected for offering the policies and practices that encourage women’s advancement. Today, women hold many powerful jobs at Marriott from president of a major operating division to global leader of sales and revenue management, as well as responsibility for some of the most profitable hotels. In addition, two of Marriott’s board members are women. Marriott was applauded for senior leadership commitment through forums such as the Global Diversity and Inclusion Council, which ensure women development and advancement in revenue generating and global leadership roles, and Women's Leadership Development Initiative, which was launched 11 years ago with the goal to focus on three pillars: Leadership and Development, Networking and Mentoring, and Workforce Effectiveness. The National Association for Female Executives was founded in 1972 and serves 20,000 members nationwide. It is a division of Working Mother Media and Bonnier Corp.
During the recent American Resort Development Association (ARDA) 2011 Convention and Exposition, RCI, the global leader in vacation exchange and one of the Wyndham Worldwide family of brands, unveiled the latest in its cutting-edge technology initiatives - two new applications for the iPad® as well as two new features for its existing app for the iPhone®. In addition to the existing RCI TV and RCI SnapBook™ features, the RCI app for the iPhone® now offers users two new features for subscribing members: access to the RCI Resort Directory and RCI Member Account Alerts. The Resort Directory, one of the most popular sections on RCI.com, allows users to view all RCI affiliated resorts and search using resort names or locations. Users can view resort photos, amenities and ratings while enjoying a variety of features that enable members to access and share resort information quickly and easily. With a tap of the screen, users can save a resort to their “my resort” list, e-mail a resort link to family and friends, compare resorts side-by-side, or share resorts on Facebook. The RCI Account Alerts feature helps keep members current by sending important account information such as renewal, expiration and deposit alerts. The RCI app for the iPad® offers all the same features as the RCI app for the iPhone® including the new resort directory and member account alert features. In addition, iPad® users can access even more information and higher-resolution photos and videos on the device’s larger screen. It is also now possible to enjoy many of the great articles and information available in the print version of Endless Vacation® magazine, the award-winning publication for RCI members, on the iPad®. Users can connect to the Endless Vacation magazine app through the RCI app for the iPad® or by downloading just the Endless Vacation magazine app for the iPad® directly. Since its debut several weeks ago, the Endless Vacation app has repeatedly ranked in the top 10 of all free travel apps. It's new, it's thin, and it's taking the travel world by storm. What is it? The iPad 2 - and it just might be the way you'll plan and enjoy your timeshare vacations from now on. Breaking Travel News (BTN) posted this report on the iPad 2 March 25, 2011. As the device hits the shelves, hoteliers, airlines and concierges will be among the keenest buyers, all looking for new ways to use the technology in the tourism industry. So what is new with the iPad 2? It is lighter than its predecessor. In fact it is a whole 33 per cent thinner and up to 15 per cent lighter, so it feels more comfortable in the hands. 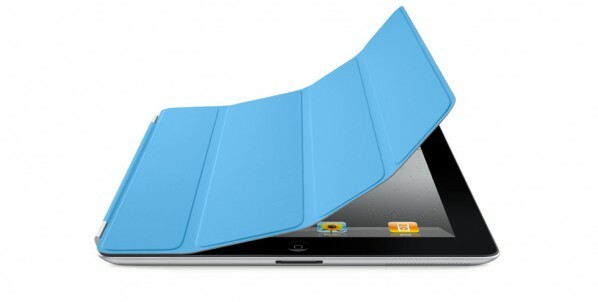 On the inside, the iPad 2 also has two powerful cores in one A5 chip, meaning it can do twice the work at once. “Multitasking is smoother, apps load faster and everything just works better,” says Apple in a press release. New operating system - iOS 4 - is also included, letting users browse, read and see everything just by pointing a finger. Front and rear cameras - the biggest omission from the original iPad - are also included. The new device offers ten hours of battery life; perfect for getting through long-haul flights with the latest movies, or just surfing the net on increasingly wi-fi enabled flights. Among the first to employ the new device is InterContinental Hotels & Resorts, which has already confirmed it will connect guests face-to-face with concierge teams. Other companies, including Marriott International and Wyndham Worldwide, are quickly following suit. Jetstar will become the first airline to offer passengers iPads for in-flight entertainment. The Australian low-cost carrier will rent the devices on domestic services starting this month, and plans to expand the service to international routes later this year. Passengers will be able to watch preloaded films and TV programs, read e-books, and listen to music or play games. Even the planners behind the Royal Wedding have jumped on the bandwagon, with the release of an iPad app detailing the particulars of the event, while World Travel Awards has launched Best in Travel Magazine. Most importantly, it appears the new device will be of great use to international travelers. Included are an accelerometer, three-axis gyroscope, and compass – all of which will allow great improvements to map and augmented reality apps. A larger screen will also make virtual tours of resorts all the more impressive, or you can plug the iPad 2 into a HDTV to get a look at a timeshare resort that's almost as good as being there. Don Harrill, president and CEO of Orange Lake Resorts, home to Holiday Inn Club Vacations, was officially elected as Chairman of the American Resort Development Association (ARDA) during the recent ARDA Convention and Exposition in Orlando. ARDA is the national trade association representing the vacation ownership industry. "I couldn't be more pleased with having Don as our industry leader especially at this unique moment for vacation ownership," said Howard Nusbaum, RRP, ARDA's president and CEO. "Don has been a long-time advocate and tireless voice for our industry, as well as someone I've learned so much from during these challenging economic times. With his strong business, financial, and management skills, he is poised to be a truly effective leader for ARDA." "I'm ecstatic and honored to take on this role with ARDA," said Harrill. "As America emerges from an economic crisis, it's a great time for us, as an industry, to have pride in our product and integrity in the process by which we share our product with consumers." Created in 1982 by Kemmons Wilson, founder of the Holiday Inn brand, Orange Lake is a growing vacation ownership company which now includes six Holiday Inn Club Vacations resorts. In 2008, Harrill successfully linked a strategic marketing alliance with IHG (InterContinental Hotels Group), the largest hotel group by number of rooms, creating the Holiday Inn Club Vacations brand. Orange Lake Resorts is privately held by the Wilson family and continues to own and operate their resort locations, with nearly 3,000 total employees. 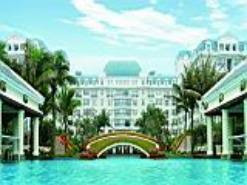 Harrill is a Registered Resort Professional (RRP) and has a rich resume in the world of timeshare. Before joining Orange Lake Resorts, he was president and chief executive officer of Trendwest Resorts. 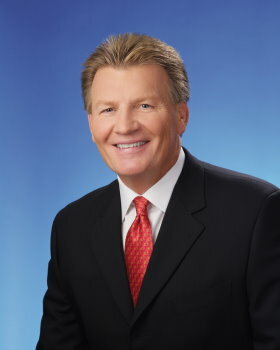 Prior to that he was president and chief executive officer of Hilton Grand Vacations Company, where he led the company's financial turnaround and developed and implemented their mixed-use hotel-timeshare resort strategy. 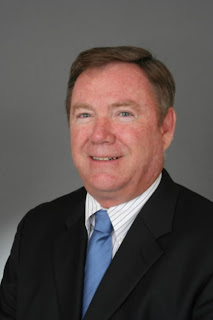 Harrill follows Jim Lewis, president of Disney Vacation Club as Chairman of ARDA. He is joined in the ARDA officer ranks by Wyndham Vacation Ownership president and CEO, Franz Hanning (chair-elect) and Baker Hostetler law partner Robert J. Webb, Esq., RRP (treasurer). Orange Lake Resorts is located on the shores of 80-acre Orange Lake, in Kissimmee, FL, and offers boating, fishing, board sailing, waterskiing, and sunbathing. Golfers can play the 27-hole course designed by Joe Lee, and tennis players can choose from 15 courts on site. In addition to area attractions such as Walt Disney World, Sea World, and Wet 'N Wild Water Park, visit the resort's 120 seat movie theater, outdoor pool areas and local restaurants. Marriott Vacation Club’s Global Owner Services was named winner of the People’s Choice Stevie Award for “Favorite Customer Service” in the Leisure and Tourism category, with over 177,000 votes cast by the general public, while the brand’s sales team was named “Sales Department of the Year” in the Hospitality and Tourism category. “Being recognized for our outstanding customer service and our industry leading sales force is a great honor and a wonderful testament to the passion, hard work and commitment our teams put forth every day to serve our Owners and guests,” said Brian Miller, senior vice president of sales, marketing and service operations for Marriott Vacation Club International. Customer Service Department of the Year – Leisure & Tourism, Contact Center of the Year (Over 100 Seats), Global Sales Team of the Year, National Sales Team of the Year, and Sales Training or Coaching Program of the Year. In previous years, Marriott Vacation Club has received Stevie Awards for Best Sales Organization, Best Customer Service Organization, and Contact Center of the Year. Starwood Hotels & Resorts Worldwide, Inc., has announced it has added comprehensive, online booking capabilities in Chinese to all of its Starwood-branded websites, including SPG.com. Now, Chinese speakers can use double byte Chinese characters to search for a hotel, make reservations, retrieve booking information or enroll in the Starwood Preferred Guest® program. This added capability underscores the importance of China to Starwood’s future growth. On track to be the world’s largest tourism market by 2015, China is already Starwood’s second largest hotel market with 70 existing hotels and more than 80 in the pipeline. One of every three new Starwood hotels is slated to open in China now through the end of 2011, including new brand flagships for eight of its nine brands. Meanwhile, China continues to lead the growth of the award-winning Starwood Preferred Guest program, representing the second largest market for SPG. “It is essential that we provide a seamless experience for our Chinese customers, especially at a time when China’s heightened appetite for our high-caliber global brands is having a phenomenal impact on our business,” said Phil McAveety, Chief Brand Officer for Starwood Hotels & Resorts Worldwide, Inc.
To meet growing demand, Starwood opened the largest Customer Contact Center of any international hotel company operating in China, in 2009. Located in Guangzhou, the center employs more than 160 associates to support Chinese-speaking customers traveling to Starwood’s more than 1,000 hotels around the world. Starwood is also the only hospitality company in China that provides 24-hour customer support, 365 days a year, for its Chinese-speaking customers. With the addition of Chinese, Starwood now offers websites in eight languages including English, Spanish, Portuguese, German, Italian, French and Japanese. One fifth of the world’s population, or more than one billion people, speak some variety of Chinese. Starwood Hotels & Resorts Worldwide, Inc. is one of the leading hotel and resort companies in the world with 1025 properties in 100 countries and territories, and with 145,000 employees at its owned and managed properties. Bluegreen Corporation, a leading provider of "Colorful Places to Live and Play," announced today that the 12th Annual Smoky Mountain Trout Tournament, held in Gatlinburg, Tennessee, will be held near Bluegreen resorts MountainLoft and Laurel Crest, in Gatlinburg and Pigeon Forge, respectively. This year the festival dates are Saturday, April 2 and Sunday, April 3, 2011. Authorities working with the 12th Annual Smoky Trout Tournament have stocked the river with approximately 10,000 trout for the competition, varying in size from small to large. Cash prizes will be awarded to those who catch the largest and the smallest fish. Non-cash prizes will be awarded to the second and third place competitors as well. Competitors are divided into two groups, Locals versus Tourists, each with a subgroup for children and adults. Founded in 1966 and headquartered in Boca Raton, FL, Bluegreen Corporation is the leader in providing Colorful Places to Live and Play through its vacation ownership resort and residential real estate business segments. More than 3,500 employees are passionate about delivering extraordinary experiences for owners and guests. Since 1996, Bluegreen has managed, marketed and sold a flexible vacation ownership plan with more than 222,600 owners, over 54 owned or managed resorts, and access to more than 4,000 resorts worldwide. Gatlinburg is the gateway to the Great Smoky Mountain National Park. 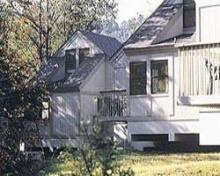 Timeshare rentals at the MountainLoft resort start at just $59/night. If you can't make this year's Trout Tournament, make plans to rent a timeshare next year. It's a great way to welcome Spring, especially when you consider that the Great Smoky Mountain National Park is also widely known as the Wildflower National Park, carpeted as it is in bright springtime blooms. Interval International, a leading global provider of vacation services and an operating business of Interval Leisure Group, has announced the affiliation of Villas d’Agua. Located in the charming fishing village at Olhos in the heart of Portugal’s famed Algarve, this resort covers five acres on a pine-forest covered cliff, steps from Olhos d’Àgua Beach. The village of Olhos d’Àgua is named for its olheiros or freshwater springs. 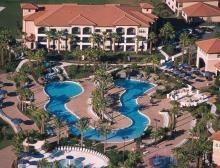 Surrounded by lush gardens, Villas d’Agua has 37 timeshare apartments, with a mixture of one- and two-bedroom units. 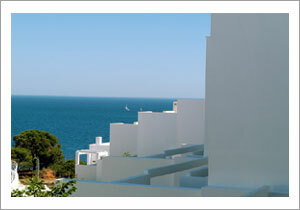 Each air-conditioned villa has a balcony or patio, full kitchen, and satellite/cable TV. Amenities at this family-friendly resort include a swimming pool and poolside bar, children’s playground, and a health club equipped with cardio-fitness machines and sauna, and an onsite spa. After a day spent relaxing, sailing, biking along the ocean, or exploring the cliff-top paths, guests can enjoy the sunset and live entertainment at Aquarella Lounge Bar and dine at The Tangerine Restaurant. Interval International has been a pioneer and innovator in serving the vacation ownership market for 35 years. Today, Interval has an exchange network of approximately 2,600 resorts in over 75 nations. Through offices in 14 countries, Interval offers high-quality products and benefits to approximately 2 million families who are enrolled in various membership programs.